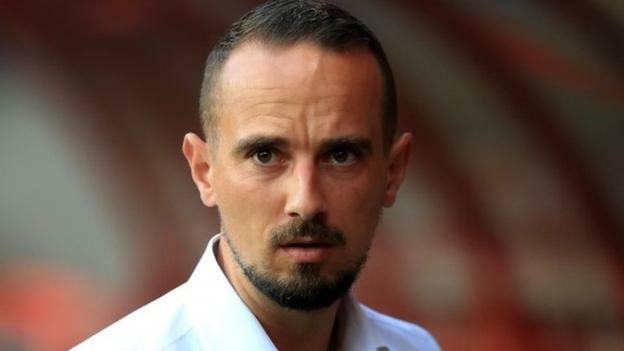 LONDON: The Football Association was warned about employing England women’s manager Mark Sampson before he got the job, it has been claimed. The Women in Football group says questions over suitability were raised during his recruitment process. It comes as the FA faces heavy criticism of its handling of the case. The FA says directors Kelly Simmons and Dan Ashworth, who were involved in Sampson’s recruitment, were not aware of any allegations before hiring him, but BBC Sport says England players were aware of rumours. Former director of football development Sir Trevor Brooking and ex-head of communications Adrian Bevington, who also took part in the process, have declined to comment. FA chief executive Martin Glenn said it was only last week that he read the full report which detailed safeguarding allegations made against Sampson in 2014 relating to his time as Bristol Academy manager. A 2015 FA assessment found Sampson, who was appointed England boss in December 2013, did not pose a risk. The 34-year-old Welshman was also cleared this year of wrongdoing following discrimination allegations made by England players, including Chelsea and England striker Eniola Aluko.